That second bullet is the lie, and the motivation for the lie, all in one. 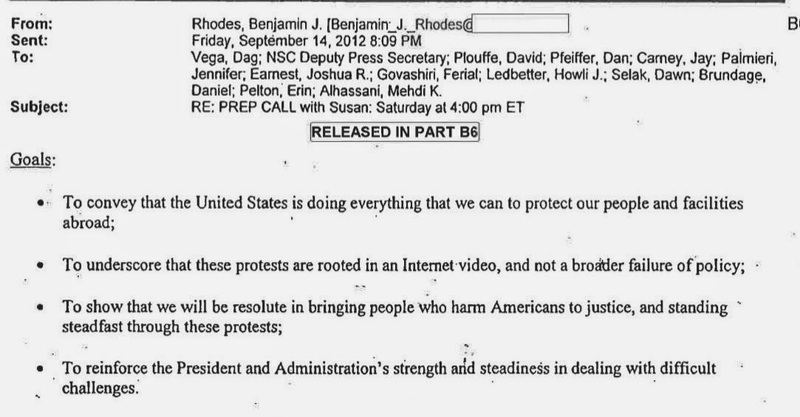 The administration knew this was not about a video. But it was more important that there not be a "broader failure of policy," than it was to tell the truth to the American people. Especially right before an election. And the truly shocking thing is that very few people are talking about this. We'd much rather focus our energies on an old, NBA franchise-owning racist. While this story may not have legs now, let's see how it plays should Hillary officially announce her candidacy. While she's not copied above (neither is Obama - how can that be? ), she'll not be able to distance herself from this.